Please be sure your laptop has been turned off. 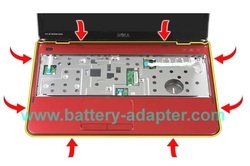 Unplug the AC adapter and remove the battery. 1. 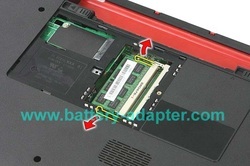 Remove one screw securing the memory cover, remove the memory cover. 3. Remove the opitical disk drive. 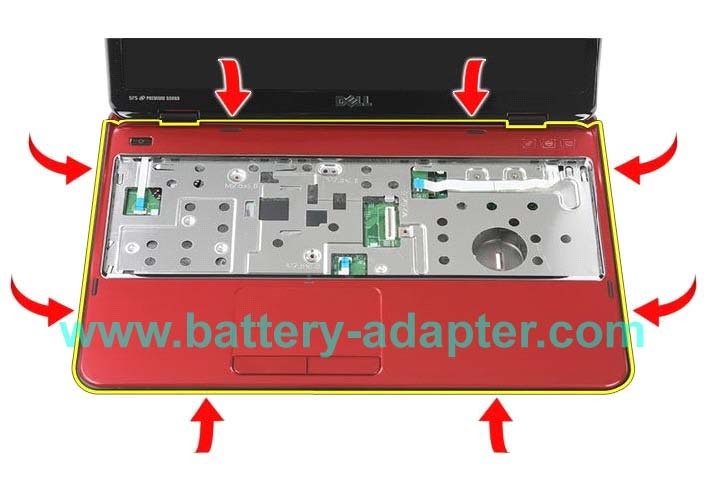 Using a plastic scribe, push the notch to remove the optical drive from the optical-drive bay. 4. 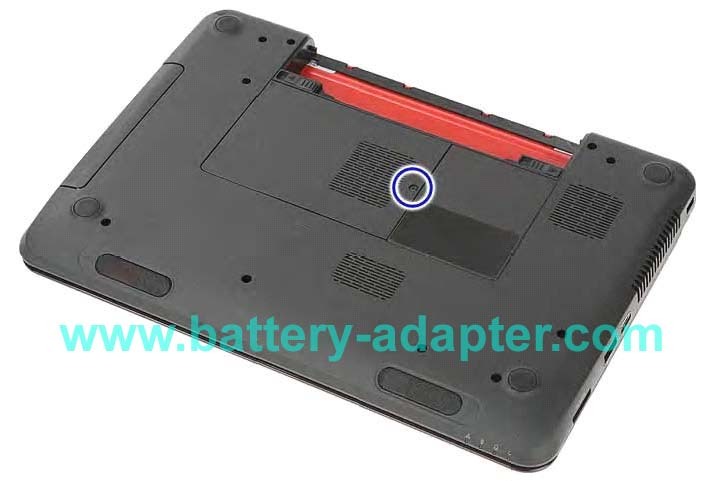 Remove the twelve screws on the bottom cover. Remove the keyboard. 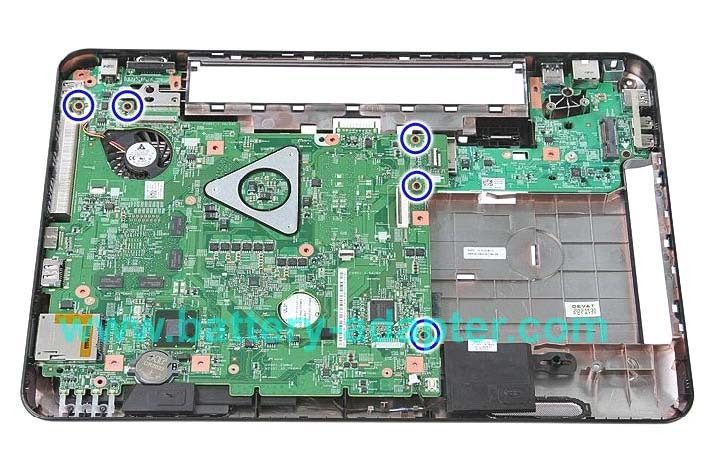 Please refer to How to remove Dell Inspiron N5110 M5110 keyboard. 5. Remove the four screws as shown and uplug the three cables. 6. 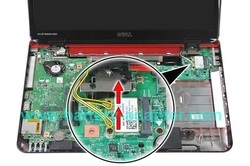 Remove the palm rest from the computer base. 7. 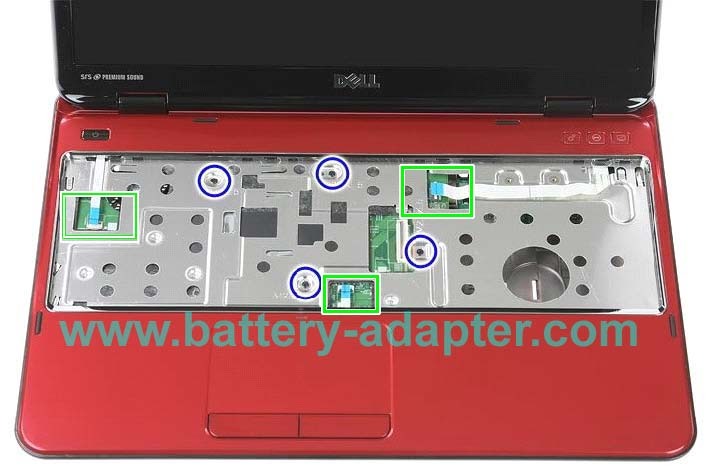 Unplug the Dell Inspiron 15R N5110 M5110 video cable. 9. Remove the four screws holding the display assembly, then lift and remove the display assembly. 10. 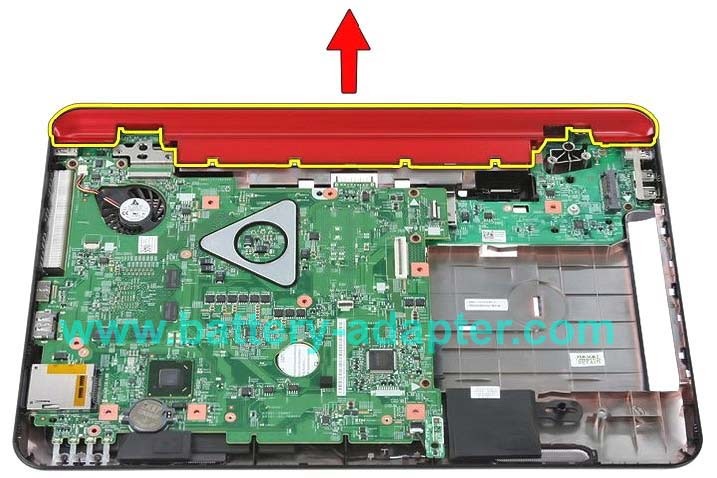 Remove this red cover. 11. 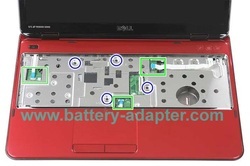 Unplug the speaker cable, remove the five screws. 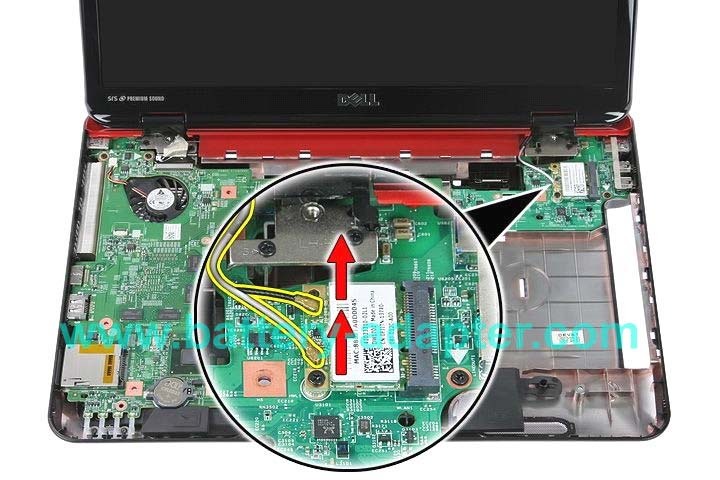 Remove the mainboard. 12. 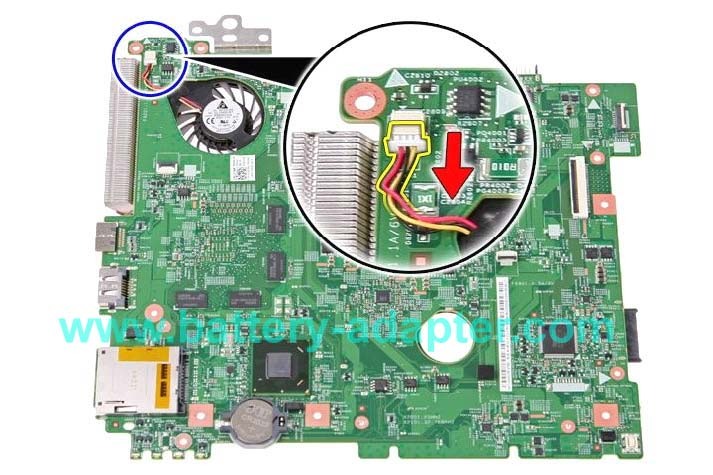 Turn the mainboard. 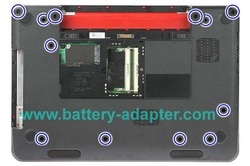 Remove the two screws, then you can remove the HDD. 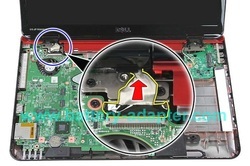 If you just need to remove the fan, you don't need to remove the HDD. 13. 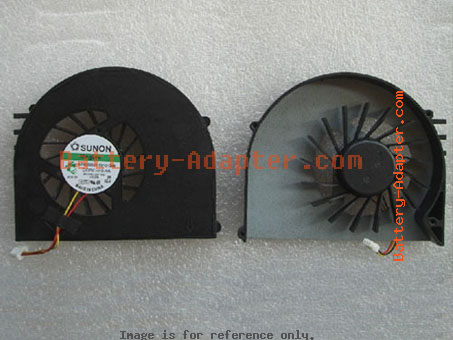 Unplug the fan cable. 14. 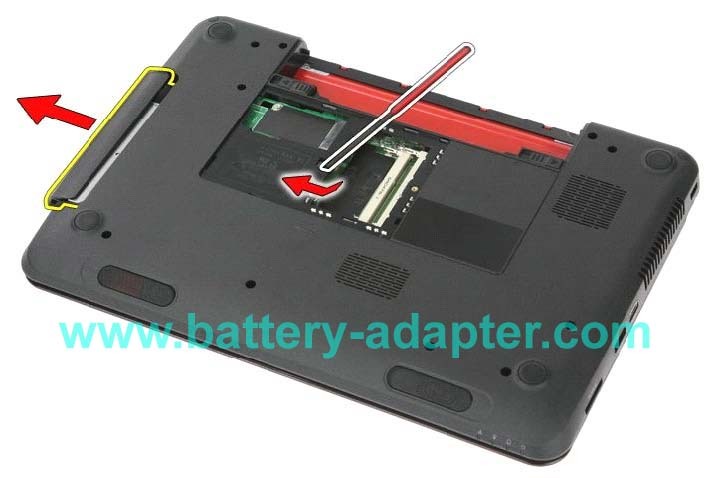 Remove the five screws to remove the Dell Inspiron 15R N5110 M5110 fan assembly. Reverse the procdure to install the new Dell Inspiron 15R N5110 M5110 fan and assemble the laptop.